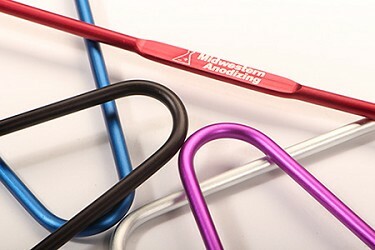 Anodizing is an electrochemical process producing decorative and protective finishes on aluminum parts and products. Parts to be anodized are mounted on special racks that grasp, and allow a specified amount of electrical current to reach each piece. Aluminum parts, require the natural oxides and oils to be removed prior to Anodizing therefore, parts must undergo a pretreat, usually involving a series of mild cleaners as well as an Etch or deoxidize solution. thick allowing for enhanced durability and organic dye absorption. 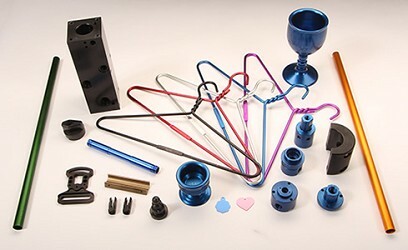 Following Anodizing, the parts can be dyed using a wide variety of color dyes to achieve an extensive spectrum of finishes. 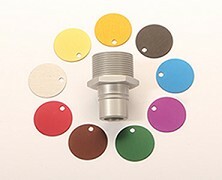 The parts are then sealed, locking in the desired color, and producing a high quality, durable finish. Below is a video clip from Engineergguy.com. Click play to watch a quick overview of anodizing.